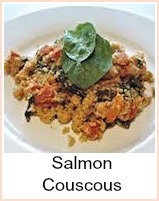 Some canned fish recipes for you. 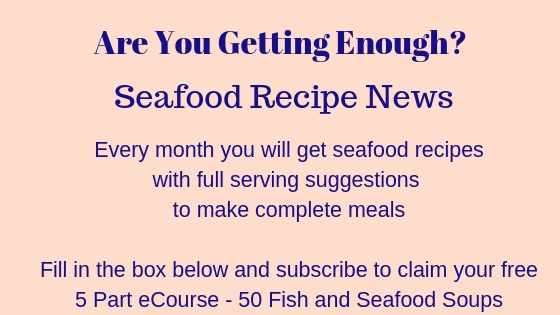 These recipes are interchangeable - for instance, you could use mackerel, pilchard, tuna, salmon - whatever you have in the cupboard. Tinned fish is a great storecupboard standy. 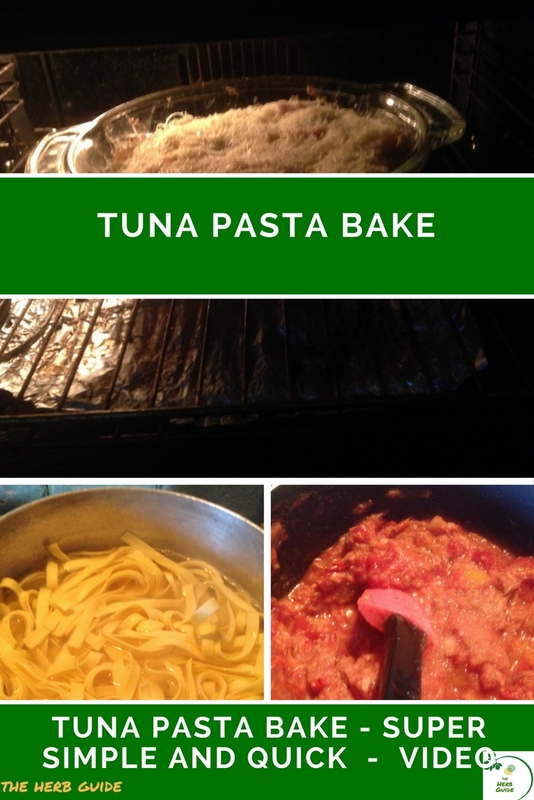 With the addition of a jar of sauce and a packet of dried pasta (I also keep part baked bread in the freezer) you will always be able to get a meal together in double quick time. Also great vacation ideas - you can shop during the year to spread the cost of your self catering. The other advantage of canned fish recipes is that you tend not to get that horrible fish smell that lingers in the house after cooking. You can use ordinary sandwich bread, pitta bread, rolls, wraps - add some coleslaw or serve with soup for a really quick lunch. Mix together the ingredients - spread it on your bread - add the lettuce, what more is there to say??? These sandwiches are really great - there is a sharpness and tanginess about them that is hard to describe. They may not be to children's taste as the olives and capers are a little 'sharp' but if you were to add a little mayonnaise then that would lessen the acidity. Lovely on a summer's day for a picnic. Canned fish is great as a store cupboard standby. It's economical, tasty and versatile. I like to go self catering on vacation and I always put a few cans of fish in my grocery box. Great for sandwiches, stuffed into pitta breads or wraps - mixed into hot pasta with a tub cream cheese *and* it's ready to eat quickly. Flake the sardines and mix with the dill, mayonnaise, salt and pepper. Cut each pitta in half cross ways and open them out. 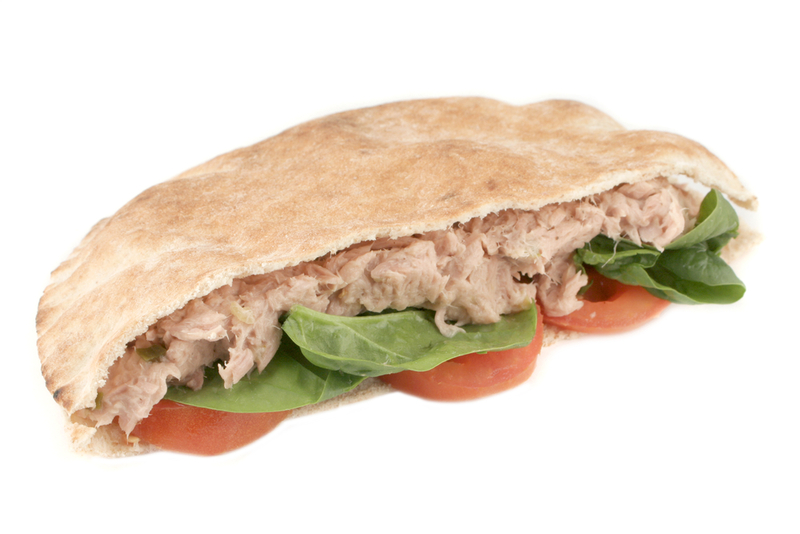 Divide the sardine mixture evenly - spread one side of each half pitta with the sardine mixture. Arrange cucumber, tomato slices and shredded lettuce on top of the fish mixture and serve. Allow people to add their own mayonnaise or salad dressing to taste. You could add a little diced pepper to the salad if you so wish. 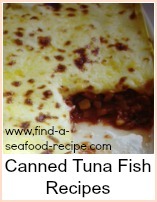 If you want more tinned fish recipes, then please click on the 'Canned Seafood' button where you will find a variety of ideas for using canned fish. All these recipes are interchangeable - you can use the tuna sandwich filling for pittas or the pitta filling for sandwiches. You can fill vol au vent cases with the mixes, pastry cases - the possibilities are endless - the only limit is your imagination. 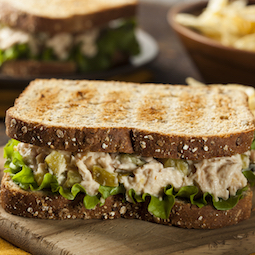 Canned fish is so versatile and you can make so many things with it. Here's some great ideas for sandwiches, wraps and pitta pockets.